“The Rubber Duck knows no frontiers, it doesn't discriminate people and doesn't have a political connotation. The friendly, floating Rubber Duck has healing properties: it can relieve mondial tensions as well as define them. The rubber duck is soft, friendly and suitable for all ages!”, says Florentijn Hofman, a Dutch artist who is responsible for this whole rubber duck thing. Hofman created the giant rubber duck in 2007 to “spread joy around the world”. The rubber duck has been first exhibited in the creator’s homeland in Amsterdam and then to other 14 different cities. It has been displayed in several countries already including Japan, Australia, Hong Kong and in some states in the US. The latest appearance of the giant rubber duck is in Seoul, South Korea after the Lotte Group invited the duck to celebrate with them in the opening of their newest branch of Lotte World Mall in Seoul. 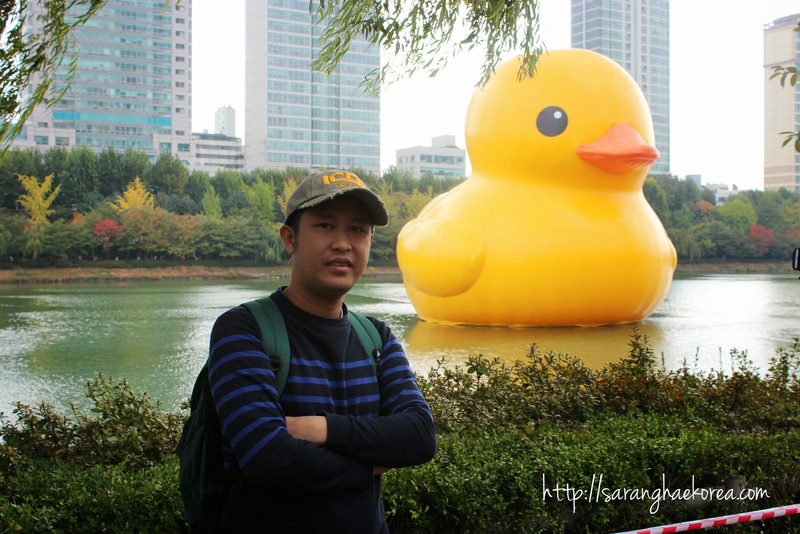 So the giant rubber duck with the dimension of 16.5×19.8×16.5 metres has became an instant celebrity amongst the people of Korea after it has been put up at Seokchon lake in Seoul last October 14, 2014. 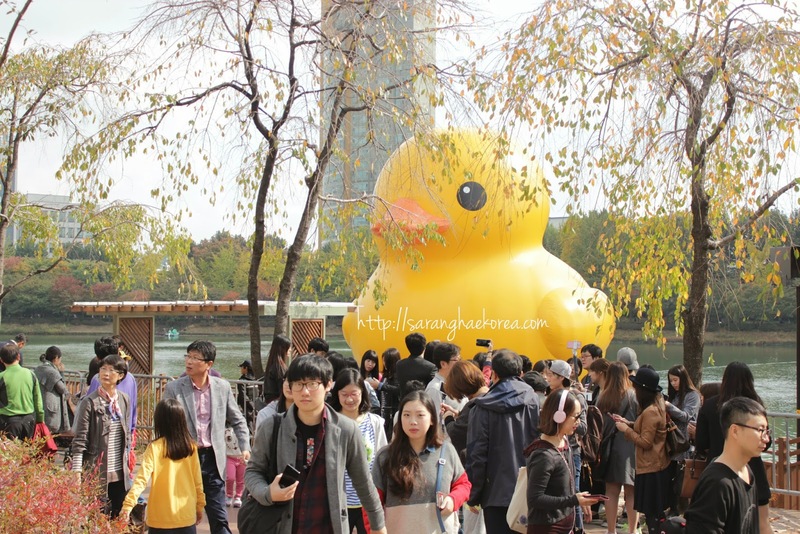 You can see how people swamped to Seokchon lake to get a glance of this very famous rubber duck and take pictures of it. And true to its purpose, the rubber duck welcomed everybody without any discrimination. It also became the reason of bonding among family members who visited the place to see him. 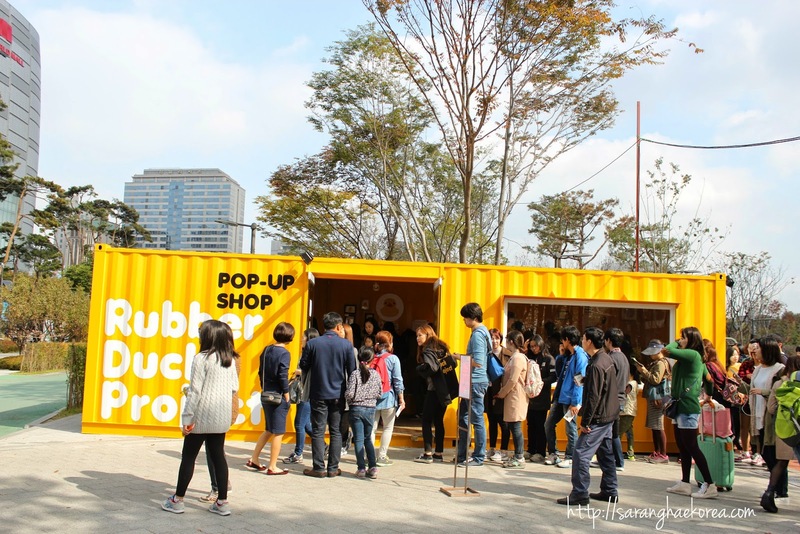 Not only that, the rubber duck project booth was also installed in front of the lake to sell merchandises like picture frames, pins, stickers and whatnot…. And yes, it’s selling like hotcake. People need to line up to buy their rubber duck remembrance because the booth could only accommodate few people. 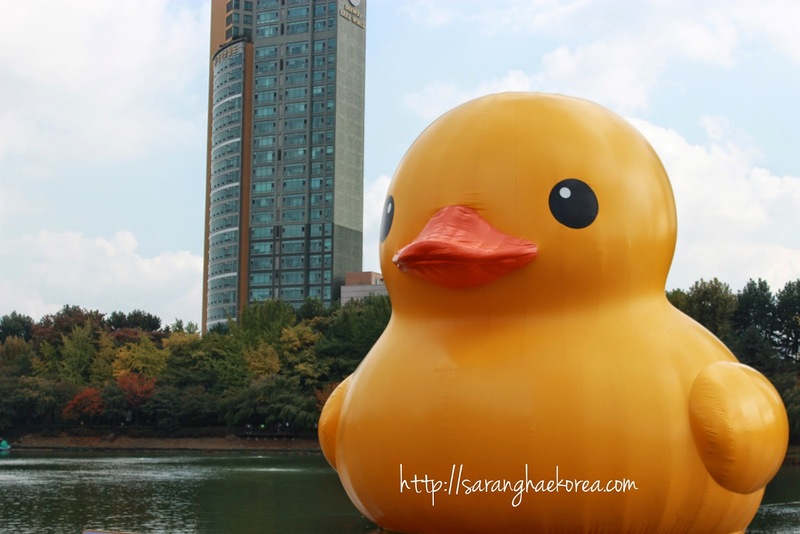 The yellow giant rubber duck will stay floating in the Seokchon lake until November 14, 2014. If you want to pay tribute to this newest celebrity in town, visit and take pictures of it. If you will go there via public transportation, I suggest using the subway. Get off at the Jamsil Station on Subway line number 2 (Green Line), then go to Exit Number 3. Seokchon lake is just 200 meters away from the Exit 3, so you will not find it hard to locate the lake. I love this picture of you and the rubber ducky along with your not spending in mind.. Awesome indeed. Thanks for sharing. Rubber duck on the move! I hope it comes to San Francisco too! I visited Seoul a couple of times for work but never got to visit any water - I was always shopping and eating! Great photo! I have never before heard of the rubber duck project! I love this friendly, floating duck! I am so excited to know about this. You are lucky to have seen it in person. Oh wow my word that huge duck thats so cool. Hahaha.. How cute it that! Sounds a great event! Love the Duck! I've never heard of this duck before. I had no idea it's been around in the US! never knew about the story of this "yellow rubber duck" til now... great one bro! This is such a great idea. 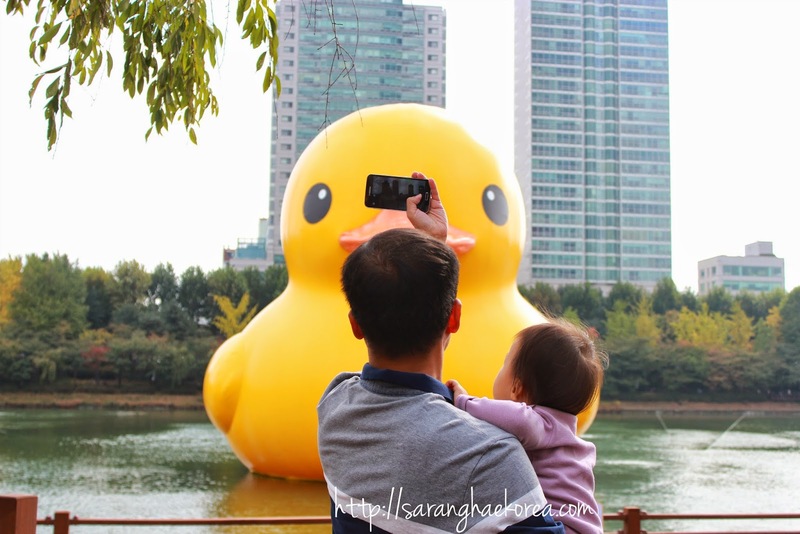 It would be great to get a photo with a giant rubber duck. This is AMAZING! Rubber ducks instantly put people in a good mood, but a GIANT TRAVELING rubber duck? Uhm, that artist is a genius! Way to spread the love. Thanks for teaching me about this! Oh wow this is sooo cute! I hope it will come here next!